You are here: Home » Will this mildew spread to my other plants? 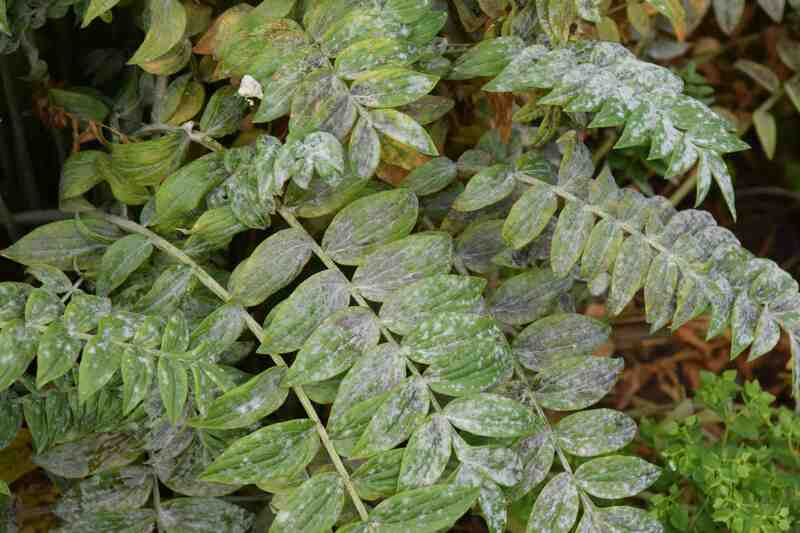 This week’s question is about one of the most common diseases of garden plants, powdery mildew. In fact is is not one disease but a group of fungal diseases that affect a wide range of plants. If you grow border phlox (above), polemoniums (below) roses, monardas or delphiniums you are bound to encounter this problem and, by this stage of the season you will be very lucky if you have not had mildew on your courgettes or cucumbers. The spores are spread by the wind and are more able to ‘germinate’ and invade the leaf tissues in dry conditions than most fungal pathogens and powdery mildews are associated with late summer and dry conditions. In fact, plants in drought conditions are the most likely to get mildew – healthy, vigorous plants in moist soil are less likely to succumb. This is one good reason to divide and replant your phlox, monardas and perennial asters every few years, to renew their vigour. Many plants have been bred to be resistant to mildew (including some courgettes, roses, phlox and monardas) but the disease usually does not damage the plant too much, though it inevitably reduces vigour and looks unsightly. 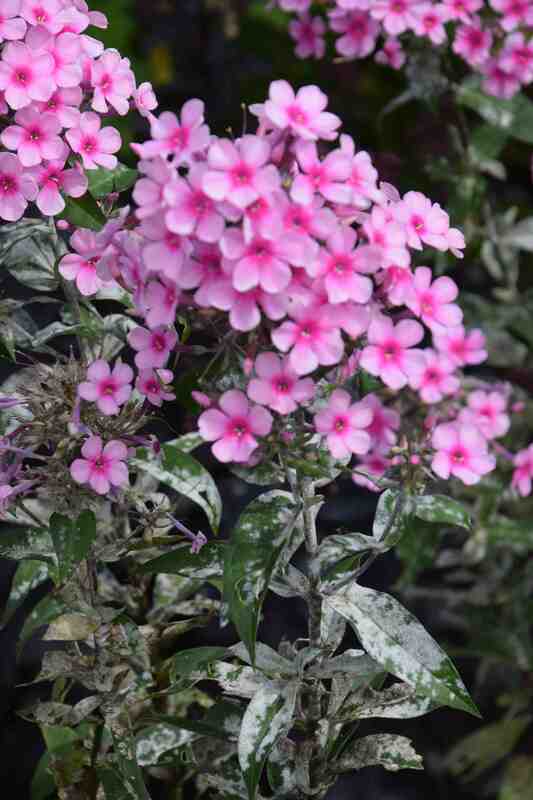 Because there are many individual mildew species, it is not likely that the mildew on your rose will hop onto your phlox. But, since the air is full of spores and if the conditions are ripe for powdery mildew, it is likely that different mildews will affect a wide range of plants. Good cultivation can reduce the incidence of mildew and you can spray with a fungicide. But these chemicals cannot get rid of existing disease, just protect new foliage from infection so, if a plant is vulnerable, it is sensible to spray in future as a preventative measure. Powdery mildew is one of the most obvious garden diseases and affects a wide range of plants but good cultivation can reduce its presence and it you shouldn’t get too hung up about a white patch on the leaves here and there.